For some men, losing their hair is a very sensitive issue, and remedying it through means surgical and non-surgical can be quite expensive. So it doesn’t help when some of the biggest players in the hair-replacement business are sharing information that could result in consumers not getting a competitive price. But that’s exactly what the Federal Trade Commission alleges has been going on between Bosley, Inc., the nation’s largest manager of medical/surgical hair restoration procedures, and Hair Club. 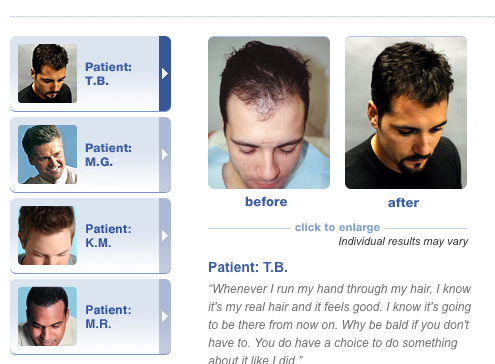 According to the FTC, for at least four years, Bosley has exchanged “competitively sensitive, nonpublic information about its business operations with Hair Club.” Included in this info were details about future product offerings, surgical hair transplantation price floors and discounts, plans for business expansion and contraction, and current business operations and performance. This is exactly the kind of information two competitors would share if they were looking to guarantee that neither party became too competitive. Both businesses benefit from higher prices, while consumers lose out for lack of competition. Such behavior, in the eyes of the FTC, is also illegal; specifically, that it violates Section 5 of the Federal Trade Commission Act, which prohibits unfair methods of competition. And while Bosley is currently planning to acquire Hair Club, the allegedly illegal exchange of information predates any public mention of an acquisition by several years. Additionally, the FTC claims the Bosley was providing its business info to other competitors, further removing competition from the industry. To settle the case, Bosley has agreed to institute an antitrust compliance program and stop such questionable communication. The proposed order bars Bosley from communicating competitively sensitive, nonpublic information directly to any hair transplantation competitor. It also bars the company from requesting, encouraging, or facilitating the communication of any such information from any of its competitors.